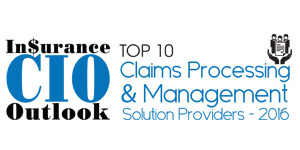 The landscape of claims processing is becoming increasingly competitive as various providers reveal innovative operating models and strategies. 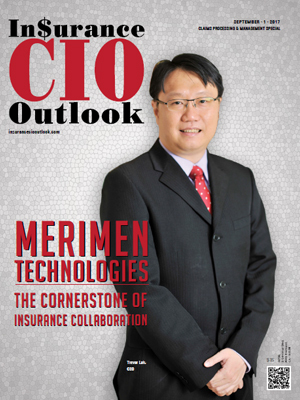 There has been a prompt growth in automated processes that provide end-to-end solutions for insurance claims, reducing the margin of error significantly. These solutions are flexible as they can integrate new requirements due to process or regulation change, without any hassle. In addition to this, the widespread adoption of IoT and wearable devices are enabling companies to obtain real-time insight into risks. The vast amount of data generated is dealt with intelligent automation, which brings in AI and machine learning within the frame. Even fraud detection solutions have become far more sophisticated and efficient by utilizing data mining, predictive analysis, link analysis, rule based engines and social network behavior analysis. In this scenario, it is imperative for all the stakeholders to understand the dynamics of the market and assess information on upcoming trends to plan and strategize. 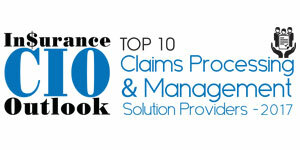 With that in mind, Insurance CIO Outlook has charted out top 10 companies offering tailor made and efficient solutions for claims processing. The companies featured here offer powerful solutions coupled with innovative strategies that can help your business succeed.